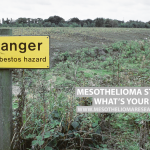 Exposure to asbestos is very toxic and can result in numerous health problems, including the aggressive type of cancer known as mesothelioma. This type of cancer usually occurs in people who worked during long periods of time in contact with asbestos, affecting the tissue that lines and covers some organs. 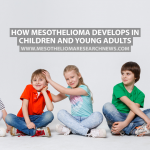 There are four different types of mesothelioma, which are defined according to the location where the disease is developed. While pleural mesothelioma affects the lungs and accounts for almost every case of the disease, peritoneal mesothelioma affects the linings of the abdomen. This type of cancer can be mistaken for a lung disease, but recognizing the symptoms can be one of the first steps to early recognition and treatment. There is currently no cure for mesothelioma. Coughing is the way that the body removes foreign material or mucus from the lungs and airways, or the reaction to an irritated airway. While an occasional cough is normal, when it is persistent, it can indicate an underlying problem. Similarly, wheezing is a high-pitched whistling sound that people make while breathing and indicates respiratory problems. 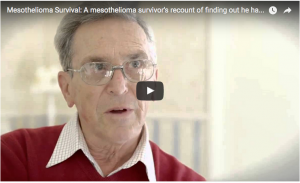 In the case of mesothelioma, it is more common among patients who suffer from pleural mesothelioma. 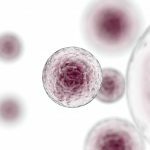 In the early stages of the disease, the symptoms are mild, including persistent coughing and / or wheezing, and may be mistaken by other lung disease. 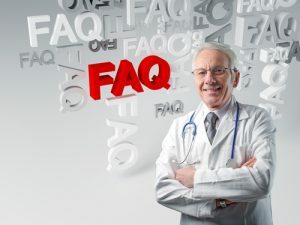 However, in late stages of pleural mesothelioma, the symptoms become more specific and severe, including persistent coughing together with coughing up blood (hemoptysis) and wheezing. 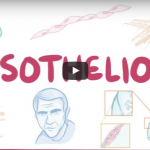 There is currently no cure for mesothelioma, but there are treatments that help ease the symptoms. In the case of dry cough and wheezing, therapies are meant to fight the underlying cause of the symptoms and improve the capacity to breathe. 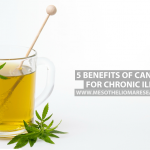 In most cases of advanced mesothelioma, cough and wheezing are related to the growth of tumors on the tissue on the lung lining and chest cavity, which cause breathing difficulties. Surgery is the most common course of treatment, which is possible until the stage III of the disease. Tumors up to stage III are considered locally advanced, but surgically removable. The surgical options include extra pleural pneumonectomy (EPP), during which the lining of the heart, half of the diaphragm and affected lymph nodes are removed in case the tumor has already spread to the surrounding tissue and lymph nodes, as well as pleurectomy/decortication (P/D) surgery, which is an aggressive approach based on the removal of the lining surrounding one lung (pleurectomy) on a first phase, and removal of any tumor masses growing inside the chest cavity (decortication) on a second one. 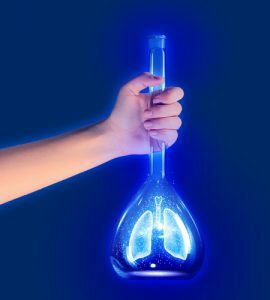 Chemotherapy and radiation therapy can also improve patients’ breathing ability, which can decrease cough and wheezing, but these are not specific to the symptoms. Similarly, palliative care is also meant to ease the symptoms of mesothelioma, including dry cough and wheezing. The most common palliative therapy able to help with these symptoms involves draining excess fluid buildup around the tumor. In the case of pleural mesothelioma, the draining is made from fluid in the chest, a procedure known as thoracentesis. Despite helping with the difficulties in breathing, and consequently with dry cough and wheezing, the results of palliative care are often limited.